Healthy boards ensure healthy organizations. But healthy boards are not always the norm. Clever nicknames describe an array of dysfunctional boards: rubber stamp boards, mother-may-I boards, country club boards, good ol’ boy boards, __________ (insert your own clever label boards). Consequently, significant and substantial organizations and individuals have emerged in an effort to help boards be healthy. Yet, at some point, all the work done and all the tools available to monitor and measure board effectiveness begin to sound the same. One more survey, one more form, one more committee report, all well intentioned, but too often treated as an inconvenience, or an add-on. What should be a thorough and engaging examination about how the board behaves, how it should behave, and what steps should be taken to close the gap, is too often a brief agenda item inserted near the end of the board meeting. Every now and then, we need a different vantage point. We need something or someone to help us look at ourselves, and the boards on which we serve, through a different window. I’m a fan of dashboards, periodic deep dives, retreats and training sessions. But right now, let’s look at our boards and our work on boards from a different perspective. Let’s go to the movies. Here are six movie quotes; so familiar even the non-movie goer will know them. Let’s use them as triggers, tools, to focus our attention on whether or not our boards are functional or dysfunctional, healthy or unhealthy. Pop some popcorn and take some time to reflect upon these famous lines, consider how they apply, and what they may imply, about the health of your board. Toto, I’ve a feeling we’re not in Kansas anymore. 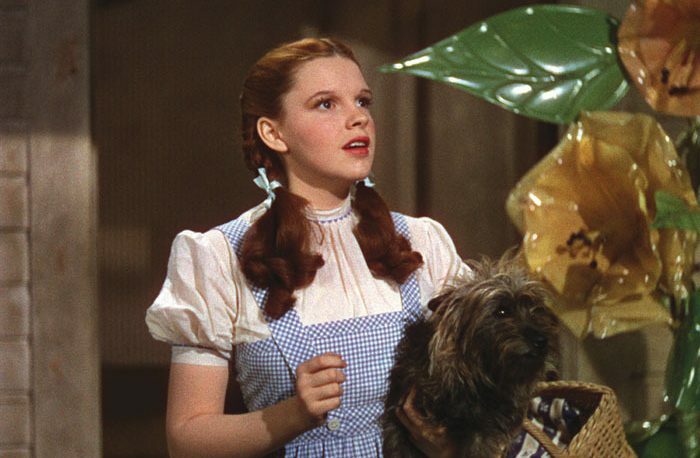 (Wizard of Oz, 1939) What do Dorothy and her venture into the Land of Oz have to do with the health of your board? This line reminds us that boards are responsible for anticipating change and managing change. Does your board do that, or is your board more apt to react to change, wish it were still in Kansas; in a state of denial that Oz even exists (it was a dream after all wasn’t it?)? Those in day-to-day management, those on the front lines of service are not the ones best suited to anticipate or prepare for change. They are focused on the needs of the now. It’s the board’s job. Does your board routinely look ahead? Have you explored how you will fulfill mission if things change? Have you created different scenarios to examine how various internal and external developments might shape what you do and how you do it? If you’ve answered yes, enjoy the popcorn. If you’re not sure, perhaps it’s time for a retreat, or in-depth scan of your environment, in order to assess your ability to thrive in different futures. Remember, the road you should follow won’t be painted yellow. What we’ve got here is a failure to communicate. (Cool Hand Luke, 1967) This line may be more popular than the movie itself. But what’s its use when thinking of boards? Namely this, everyone in the organization, including the board, needs to know their roles and responsibilities. Everyone in the organization needs to know where the organization is headed and why. Everyone in the organization needs to be heard and be assured that what they do matters. Though boards count on their CEO to ensure that people are engaged and have opportunity to communicate on an operational level, boards must set the example. Board members must model a culture of engaged communication among themselves and expect the same among those who serve the organization (much of this happens through the Board Chair and the CEO). Ask yourself, how well does my board communicate? When we meet are we organized and structured to receive clear data and offer valid input? Do we vigorously engage one another or withhold our opinions for fear of upsetting the status quo we have maintained for so long? Do we assess the level and health of communication amongst the staff? Do we hear what our clients, those whom we serve, are saying to us and about our work? Remember, poor communication didn’t go well for Paul Newman’s character; it won’t go well for us either. You can’t handle the truth. (A Few Good Men, 1992) This quote is the cousin of the communication quote. Boards need information. Accurate information. It is the coin of the realm. Without an accurate picture of where the organization is, decisions about the organization’s future are based upon tradition, hearsay, intuition, or the strongest personalities in the room. The CEO and the management team must never view their board reports as a quarterly (or semi-annual) inconvenience. Meta-direction and meta-decisions emanate from the board; it is the heart of corporate governance. And the vision the board casts and the strategic goals it sets will only be of value if they emerge from a clear and accurate sense of where the organization is, what its resources are, and what trends will most likely affect its future. Does your board have access to organizational performance via an up to date dashboard on a secure portal? Do you receive material in a timely and accessible manner? Do you routinely drill down into specific areas to better understand their operation health? Does the staff speak to the board with transparent language, or are their reports filled with vague, territorial generalities? After all, if the board can’t handle the truth, who can? If you build it, he will come. (Field of Dreams, 1989) Has Kevin Costner been around that long? And who was it that was supposed to show up if he built the field? (Answer: Ray Kinsella’s father.) And most importantly, what does this quote have to do with assessing board effectiveness? Two words: planning and execution (yes, I know that’s three). Organizations enjoy success when planning and execution are inextricably intertwined. The board is charged with casting vision. With the help of the CEO and an engaged staff, the board should establish a set of strategic goals (three to five; more than five and they’re not big enough or strategic enough). Then, the board should charge the management team with developing a set of operational goals and tactics to make vision reality. Has your board built a vision for the organization’s future? Can each board member articulate the vision of where the organization is headed? Have you established a set of strategic goals to achieve your vision? Are you regularly resourcing and implementing the operational goals and initiatives established to meet strategic vision? Are you monitoring how well the organization and the staff are doing in executing the plans you have adopted? If not, you might as well be standing in the middle of a cornfield. Show me the money! (Jerry Maguire, 1996) If you are fortunate enough to serve on a board of an organization filled with creative and energetic people, no doubt there are more good ideas than there are resources. Consequently, organizations, just like Jerry Maguire’s client, want to have more money and have a tendency to want to spend all the money they have. Thus is up to you, the governing board (working with the CEO), to monitor funds, count programmatic cost and deploy resources appropriately. The board’s fiduciary responsibility should not be sequestered in the finance committee. The whole board should understand how many funds there are, where they are being spent, what revenue is being generated and how year-end and reserve targets are being met. It is incumbent upon boards to work with leadership to make strategic resource choices; hard decisions about resource deployment are necessary to put you on track for future success. Furthermore, in the world of non-profit boards, “Show me the money!” also means the board must be a source of resources. To join a governing board is to commit to both give and get. You are now an institutional ambassador; your generosity and your willingness to connect people of means with your organization are critical to resource development. So where is your board? Are you counting the cost, or assuming those with CPA behind their name are doing that for you? When was the last time you reallocated resources for a new initiative? When your Chair or CEO talk about making annual financial commitments are you all in, or do you take an eye contact break? Have you become an evangelist for your organization, engaging others to invest in your cause? It’s not just Tom Cruise who needs to see the money. Houston, we have a problem. (Apollo 13, 1995) We think those are Tom Hanks’ words, but they’re really the words of Jim Lovell, Apollo 13 Mission Commander and Jack Swigert, Command Module Pilot. Apollo 13 is one of those movies, that if it’s on, I have to watch. Its story has a gravitational pull (no pun intended) that makes me need to see it again and again. Going to the moon was a big idea, it required a team devoted to the big idea; then, a big problem arose, but together the team rose to the challenge and successfully dealt with the big problem. Isn’t that what boards are supposed to be and do? Big ideas are why we joined. The mission was compelling, the vision is a stretch but it’s achievable, and you’ve been mapping out strategic plans, analyzing programs, considering scenarios and staffing and resourcing accordingly. And then it happens, something unexpected, a crisis. Maybe it’s financial, or an unexpected legal challenge, perhaps a breakdown in succession plans, a tragedy, or a meta-market shift. The board must deal with this problem. Are you prepared? Will the board step forward or will it wait, hoping the problem will go away, only to find it has become worse? Have you already dealt with the problem in a hypothetical scenario exercise? Do you have policy in place, guidelines for legal and personnel matters? Are board relationships strong with a well-qualified array of board members at the ready? Or will you refer the problem to staff, expecting them to address matters higher than their pay grade? In time, a problem will arise. How you handle it will define you, your board and your institutional culture. Rehearse well, examine imagined futures, weigh pros and cons and be ready. It’s what good boards do!